Cover Reveal: Reclaim My Heart + giveaway! Spotlight: Avenging Angel by Cynthia Eden! Quote-tastic (4)...Peaches for the win! Cover Reveal: Avoiding Mr. Right by CJ Ellisson!! Who's Your Wicked Lover Giveaway Hop! 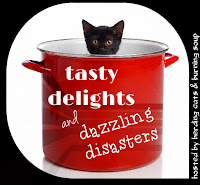 Tasty Delights and Dazzling Disasters is all about playing in the kitchen and having some fun. 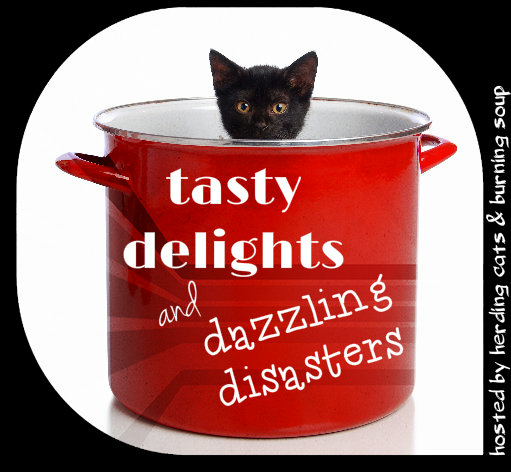 Each Tuesday I'll share my delights or my disasters. Yall feel free to join in and create your own posts, share your favorite recipes, what have you. Ahhh. So in my attempt to eat a bit healthier I decided to give these a try after a friend posted them to a group. Healthiest thing out there? Nah. But a little better than your average muffin. So. Here's the dazzling disaster bit. Nutmeg. 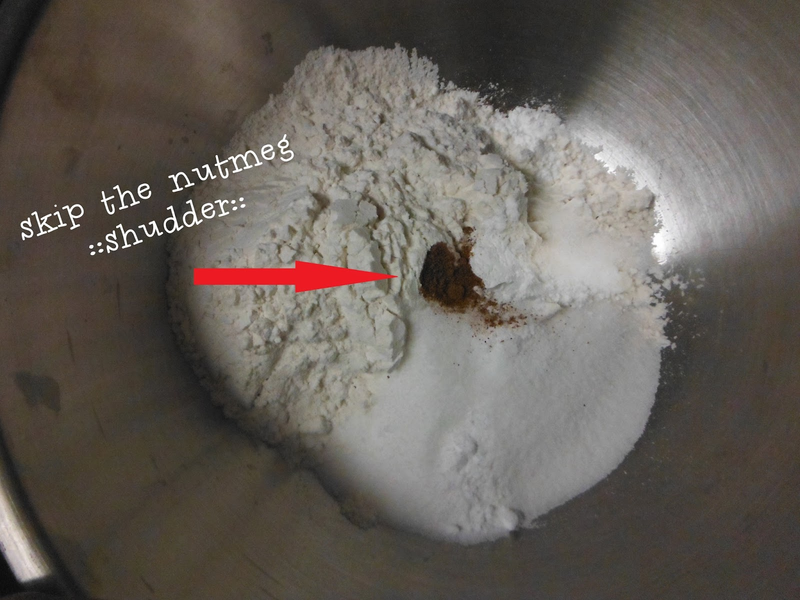 The recipe called for 1/8th of a teaspoon of nutmeg. They smelled funky and tasted kinda funky too. Not terrible but just not...right. So. Mix up your dry ingredients. Sans the nutmeg. Then cut in your butter. If you haven't done this before it's very easy. Just take a fork and smoosh your butter until it's all crumbly and coated in flour. It'll be like coarse meal. Next mix up your wet ingredients. I used powdered buttermilk (see photo up above) since I can never use an entire bottle of liquid buttermilk. Just whip it up according to package directions then carry on. You'll also add your lemon zest. Just lightly grate the peel (don't go too deep into the lemon) then mix into buttermilk/vanilla/egg mixture. Combine your flour mix and wet mix. Don't over mix. Just get it so all the flour is moist. Fold in your rinsed and cleaned blueberries. Go gentle on this step so your blueberries don't smash up. Bake then cool on a wire rack as soon as they're done. Then drizzle with lemon sauce and serve! The second attempt at these turned out really good. They're not all that sweet since they have about half the amount of sugar that regular muffins have but they're still tasty. The lemon "sauce" that's drizzled on top adds a fantastic tart/sweet layer and really makes them taste fresh and summery. What's your favorite type of muffins? Cut in butter with a pastry blender or 2 knives or fork until mixture resembles coarse meal. Combine buttermilk, egg, and rind in separate bowl and whisk well. Add milk mixture to flour mixture; stir just until moist. Spoon batter into 12 muffin cups coated with cooking spray. Bake at 400° for 20 minutes or until the muffins spring back when lightly touched. Remove muffins from pans immediately, and place on a wire rack to cool. 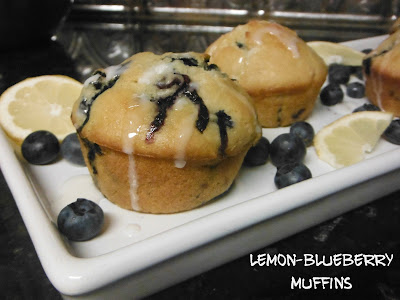 Combine lemon juice and powdered sugar in a small bowl and whisk until smooth then drizzle glaze evenly over cooled muffins. Note: You can make these muffins up to 2 days ahead and glaze them the morning of the brunch.